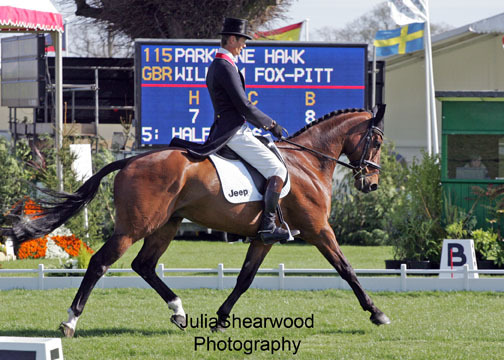 Parklane Hawk finished dressage in 5th place yesterday after producing some lovely work to score 40.0. Again, I felt that the marking in places was a little tough but with only 7.3 penalties separating the top 10 it is going to make for an exciting day of cross country today. 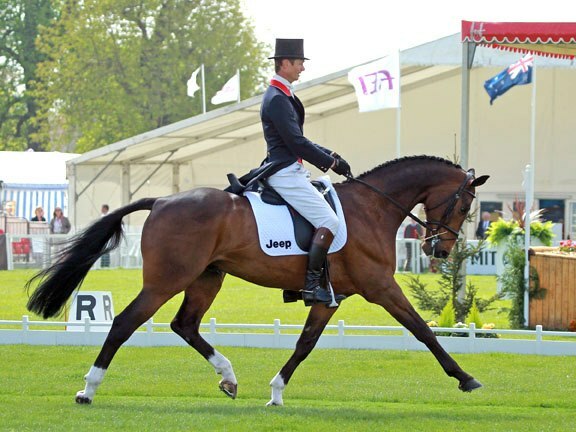 Oslo finished the dressage in equal 16th, again under 10 penalties off the leader Michael Jung. The course is looking fantastic, the sun is shining and already the crowds are pouring in the gates. The first horse is on course at 12 noon. Oslo is my first horse on the course at 12.28 and Parklane Hawk’s turn is at 17.16. You can watch all the action live on FEITV, click here. For all the times click here. Parklane Hawk during his test yesterday. Thanks to Jess Folkertsen (Julia Shearwood Photography).